Carolina Bucci 18K yellow gold and silk rainbow bracelet. 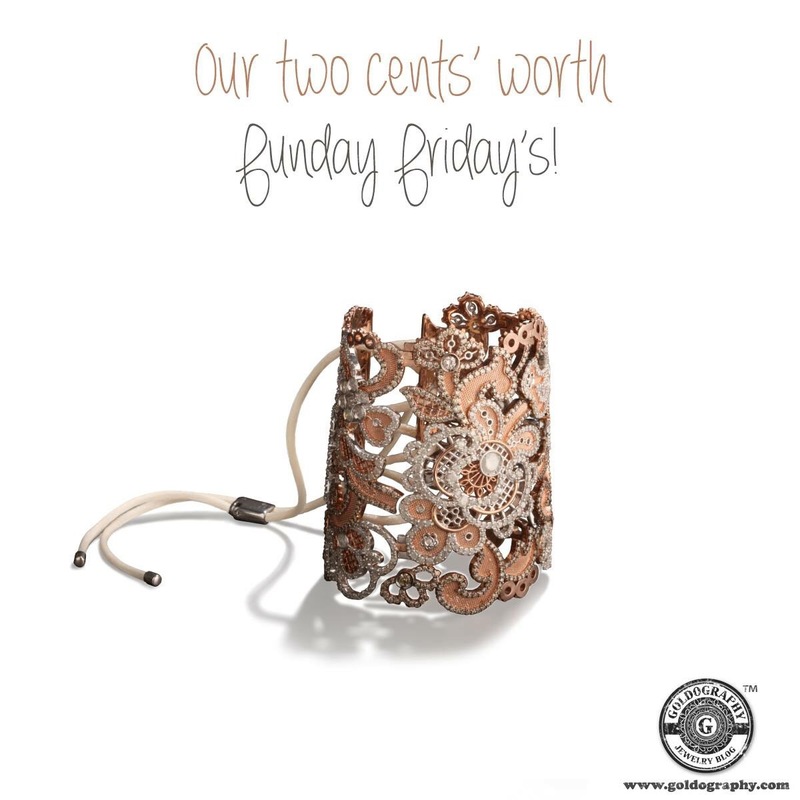 Our two cents’ worth Funday Friday pick is this cool and creative bracelet by Maria Kovadi, made in 18K gold, silk, lace and diamonds. Our Monday morning trend report…. 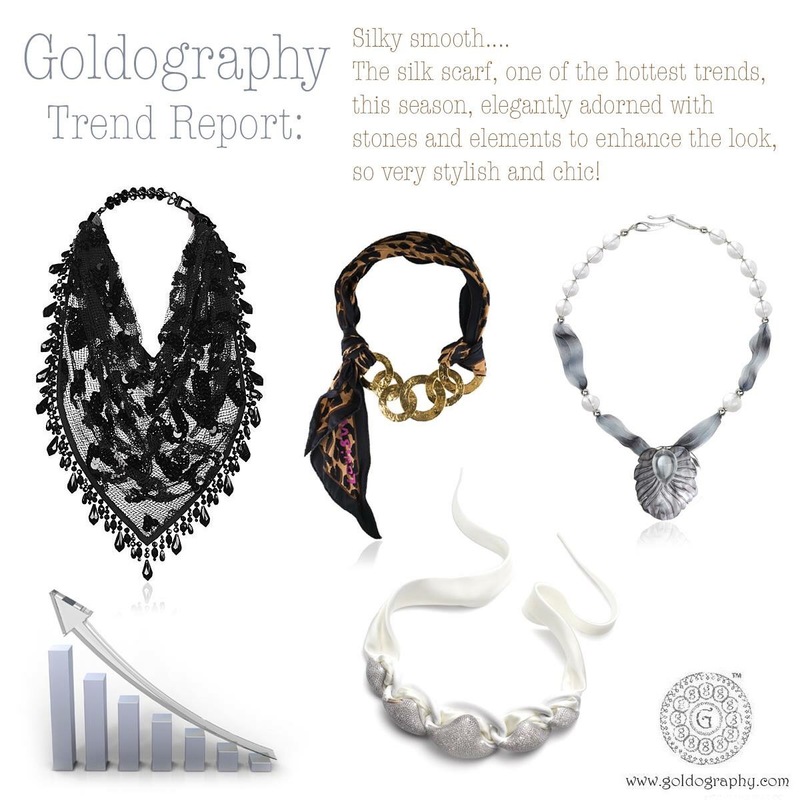 The silk scarf, always a sophisticated choice, embellished with some jewels and you have an elegant, chic and fashionable trend, it has taken over the fashion runways, paired together with the choker necklace, this trend is still so very hot! A must have this season for every fashionista. Fun fact: Silk rapidly became a popular luxury fabric. Demand for this exotic fabric eventually created a 4,000 miles long trade route, also known as the Silk Road, stretching from Eastern China to the Mediterranean Sea.